'This a particularly fine specimen for Wellington. It is especially notable for it's position in the heart of the business area'. Duthie 1984. 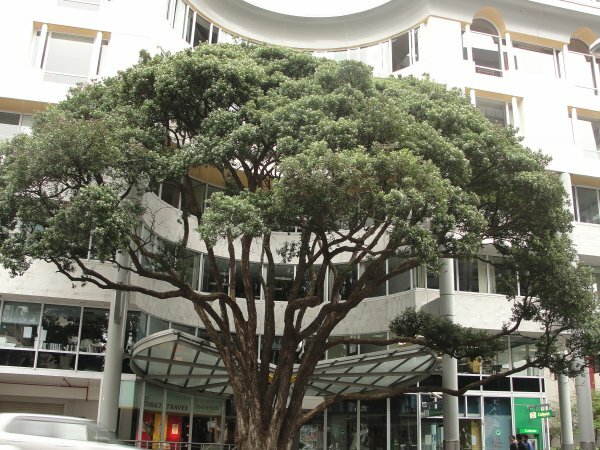 'A proposed building had to be redesigned, due to a requirement by Wellington City Council, to curve the facade of the building to save the tree from mutilation. Unfortunately starlings found it a favourite roost and after much experimentation, the tree now has a net spread over the entire canopy'. Flook 1994. 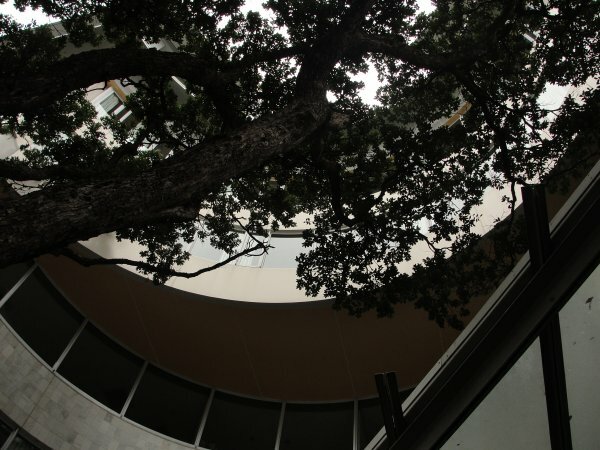 'This huge and spreading tree was actually pictured in a book written by Dr. Alex Shigo entitled “Modern arboriculture” in which he highlighted the presence of mind that the architect had, who designed the building to the rear, allowing the tree to grow. 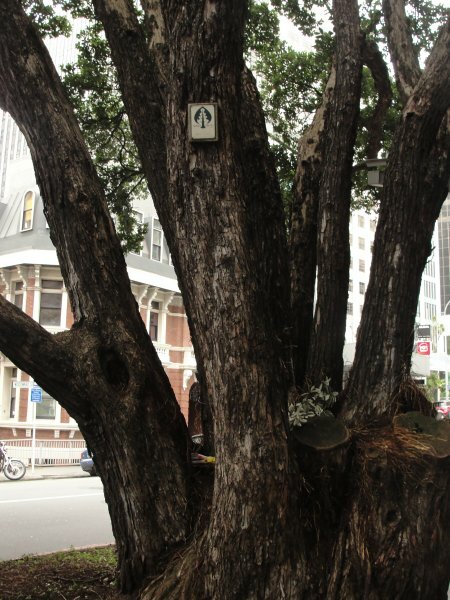 The book was first published in the early 1990’s and the tree was a large and magnificent specimen then. It stands now far prouder and spreads wide over the footpath, and yet the building design still affords the tree the space it needs. It can be seen only from The Terrace, yet when in full flower is a dazzling display of red and deep green'. Benson 2010. 23 Oct 2010 Benson, A.R. & Spencer, D.
Opposite the Ministry of Transport on The Terrace.